The Liberty 5 in. Stainless Steel Appliance Bar Pull offers a contemporary European look to your cabinetry. This pull blends well with many different decorating schemes and is designed for use with 5 in. center-to-center measurements. Designed for easy installation. The Liberty 3 in. 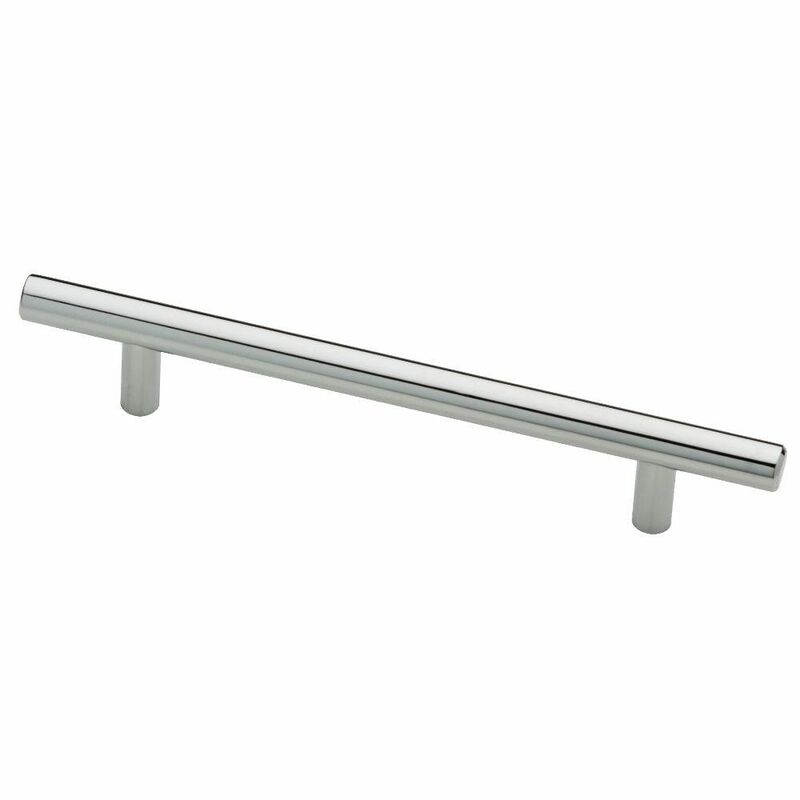 Stainless-Steel Bar Pull adds a touch of style to kitchen and bathroom cabinetry and furniture. The pull is crafted with stainless steel to help ensure strength and features a 3 in. center-to-center mount design for easy installation. Includes polybag with 8-32 x 1 in. machine screw. 5-1/16 Steel Bar Pull, 1 per pkg The Liberty 5 in. Stainless Steel Appliance Bar Pull offers a contemporary European look to your cabinetry. This pull blends well with many different decorating schemes and is designed for use with 5 in. center-to-center measurements. Designed for easy installation. 5-1/16 Steel Bar Pull, 1 per pkg is rated 4.6 out of 5 by 8. Rated 5 out of 5 by Bobbie from They look great on my freshly painted cabinets.... They look great on my freshly painted cabinets. Rated 5 out of 5 by Mia from Very high quality 128mm polished chrome bar handles. Would highly... Very high quality 128mm polished chrome bar handles. Would highly recommend. Rated 4 out of 5 by Gug from Product with a good quality. It comes with 2 pairs of screws for different width of the door or d... Product with a good quality. It comes with 2 pairs of screws for different width of the door or drawer front. It's not a problem but would be easier and fast to install if it comes with simple paper/cardboard template. Rated 5 out of 5 by Nice from This cabinet pull is clean, modern, and attractive. ... This cabinet pull is clean, modern, and attractive. Rated 3 out of 5 by Ameel from They were ok, not the best would have returned them;... They were ok, not the best would have returned them; however the small ones were already on drawers. Rated 5 out of 5 by OC from They are good looking. They are good looking. Rated 5 out of 5 by jedd from Beautiful for my newly painted cabinets These drawer pulls are just beautiful . I put these with Glass knobs and my cabinets look GREAT.